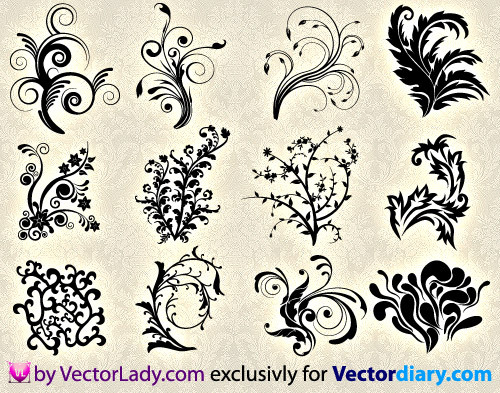 Vector Lady has created an exclusive vector pack of 12 floral ornaments for Vector Diary. Download is only available for registered members. So join now and download this great vector freebie! Also remember to check on her site for more free vectors! http://vectorlady.com Hi everyone! I'm Ann from Russia. I'm 24 years and I'm not a designer, but I love vector graphics. So VL is my personal blog where I'm going to share various free vectors: floral ornaments, silhouettes, icons, heraldic illustrations, seamless patterns and so on. Only I found .gif format. Sorry for the wrong zip file. I have reuploaded it. Enjoy! DAT WAS BRILLIANT.. M STILL LEARNING THE PROCESS.. Thanks Vector Lady, These are lovely and I just opened them up in Illustrator and copy and pasted them into InDesign. I have been looking for some good ones of these to have handy, I was going to put time aside to create some, but when I came across yours, they were so lovely and so just what I would have liked to have created anyway, that I decided to download your file and be thankful for the use of yours! Much appreciated. Hi Vector lady, I’ve only just come across these marvelous designs of yours. 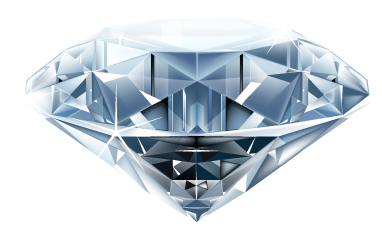 You say you love vector graphics – and it shows. Hopefully one day I will be able to be as talented as you. Best wishes and thanks.